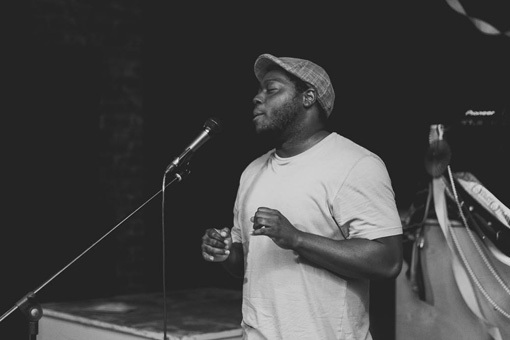 For over a decade, Devel Crisp has been a leading spoken word artist in his hometown of Omaha, NE. With a natural knack for crafting words, coupled with a well-seasoned, powerful vocal delivery, Crisp dynamically breathes life into every space in which he performs. An “edutainer,” he believes that something informative or meaningful should occur each time he performs, and he uses his work to question boundaries and push for progress and innovation. A former member of the Shelterbelt Theatre, Crisp is a creative consultant at the Clouds and Gutters of my Mind and a teaching artist at the Nebraska Writer’s Collective, where he teaches poetry, spoken word and slam to students at public schools and coaches teams for the "Louder Than A Bomb" High School Poetry Competition. He is also a participant in the Great Plains Theatre Conference, a member of the Wordsmiths, spoken word edutainers based in Omaha, and a co-founder of Tapestries, a monthly spoken word showcase weaving the words and stories of poets, storytellers, spoken word artists and rappers from diverse backgrounds and styles.